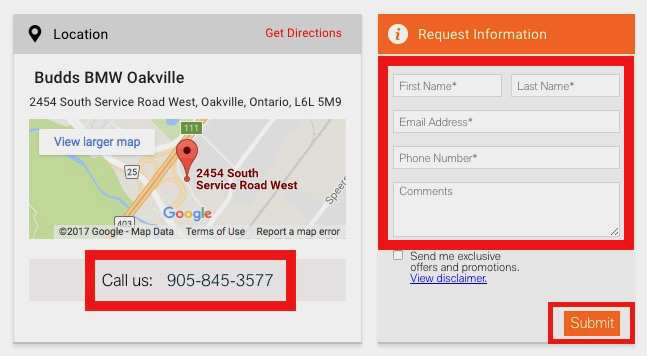 If you want to find used cars at Budds’ BMW Oakville then you have come to the right place, and you should follow along with our simple step by step process. Our selection of premium quality used cars can be found at our dealership, or online with our very easy to navigate website. 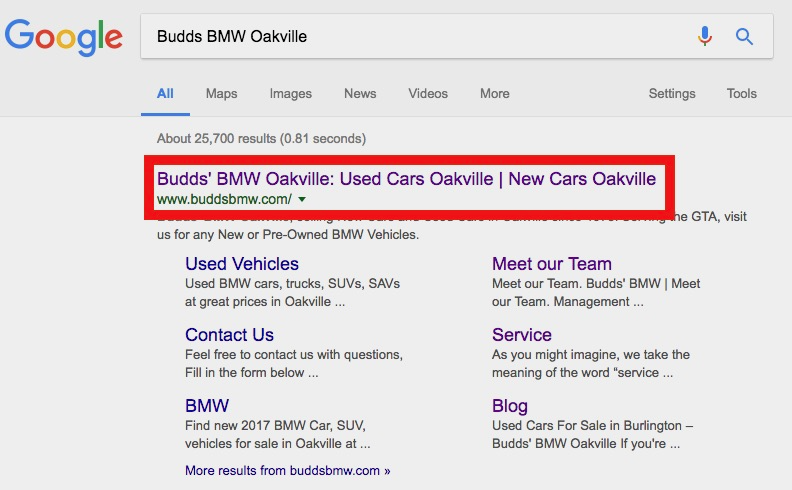 Our Budds’ BMW Oakville website shows up right away when you type in ‘Budds’ BMW Oakville’ into Google. This will take you to the next page where you can search through our inventory of used cars. Step 3: Choose your search options. By entering in your search criteria form the options above, you will be able to narrow down your search and have only the used cars that match your criteria appear in the list. This saves you time and adds convenience. By clicking this little orange button that says ‘View Details,’ you will be taken to the next page that will provide you with more in depth information about the quality used vehicle you are interested in. Now it is on to the final step! Fill in your information in the boxes provided for you and click submit. A representative will contact you promptly. All of our used cars at Budds’ BMW Oakville have been inspected and tested thoroughly by our professional team of BMW technicians to ensure that each and every car can become certified to sell to our valued customers. BMW is known for their quality, and you can have confidence knowing that the used car that you drive off of our lot is in pristine shape and will provide you with pure driving exhilaration for years to come! 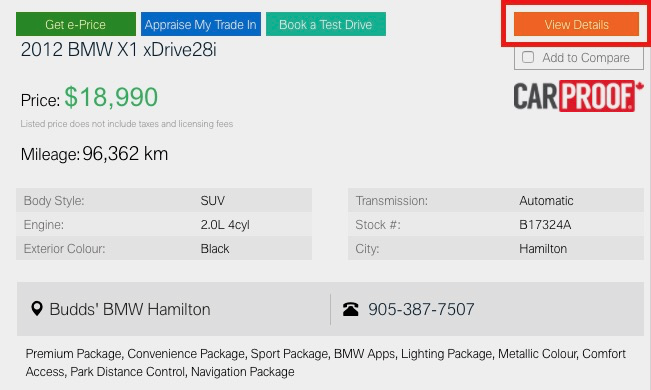 For more information about used cars at Budds’ BMW Oakville please feel free to continue browsing through our website. We can also be reached by phone at 905-845-3577 or by filling out our contact form.